At Aqua Comms, we are always striving to become better and improve our performance. We are a very small firm in terms of staff, yet we manage a global asset that stretches 6,000 kilometres across the Atlantic. Meeting our Service SLA is paramount to our success. Delivering against our promise means we continually review our people, skills, competencies, processes, security and operational systems, as well as the performance of the network and landing stations. We are always focusing on our investment of new projects to ensure optimum customer experience, improved availability and system augmentation, driving cohesive and best-in-class operations. We are completely aligned in what we do. We build the cable, we operationalize it, put it into our model, sell it, and operate it. And we do that very efficiently. With a small team, highly efficient operating model and a focused attention on our business, we can take that model around the world where we invest and produce a valuable infrastructure for countries, continents and companies to allow them to build the underlying layer of the internet. Andy is Chief Network Officer at Aqua Comms. He was appointed to this position in June 2017 and since joining has made a massive impact, leading all aspects of Aqua Comms’ global operations and engineering. Most recently, Andy held the position of COO at Bermuda Telephone Company (BTC) where he held operational responsibility for network planning, field operations, NMC, SOC, and IT, along with customer care, Sales and Marketing. Andy has more than three decades of experience in the national and international arena, optimising mobile, fixed and subsea operations. Prior to his role at BTC, he was Managing Director of Network Rail Telecom. Under Andy’s leadership he developed services for both critical national infrastructure and the commercialisation of the network, developing a single, unified telecoms organisation focused on improving service availability and customer satisfaction, among other activities. Andy has held other positions, such as Global Vice President, Field Operations, and Infrastructure Engineering at Interoute Communications, as well as Senior Operational responsibilities at BTC where he oversaw operations of the incumbent driving transformation and digitisation of the network. He also spent considerable time as a senior leader at Ebone/GTS and BT. A telecommunications industry veteran, throughout his career he has sustained full operational and managerial responsibility. Chris is Chief Commercial Officer at Aqua Comms. 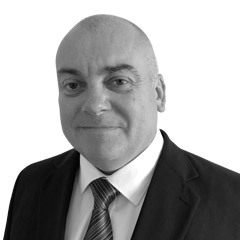 Chris has more than 25 years’ experience in the Telecoms sector. Previously, he was Director, Global Wholesale Solutions at Colt where he focused on large infrastructure opportunities as well as supporting Colt’s customers in delivering cost-effective, world class solutions. Prior to joining Colt, Chris worked predominantly in the submarine cable business as well as with service providers, network and component manufacturers and most recently with a major global terrestrial network operator. His experience covers both working internationally including running the Middle East and Africa business for Global Cloud Xchange (formerly FLAG Telecom and Reliance Globalcom) and successfully working in senior management roles across multiple functions including Sales, Marketing, Pricing, Finance and Business Development. As an experienced member of executive leadership teams and as a Chartered Management Accountant, Chris has successfully delivered on complex and varied business plans in both mature and emerging markets. Jol is an Engineering Advisor at Aqua Comms where he leads the Subsea Networks Team, supporting the network build and provisioning activities. Jol has worked in the subsea industry since 1990, holding key roles in management, engineering and network development. He has worked on more than 15 new submarine cable build projects and managed numerous subsea and optical network upgrades. Jol has also worked for both subsea system manufacturers and system purchasers at a project development, contract and engineering level, and gained his experience at BT, STC Submarine Systems, Alcatel Submarine Networks, Global Crossing, Level 3 and Subsea Networks Ltd. Jol has a degree in Electronic Engineering and a Master’s Degree in Telecommunications from the University of Essex, carrying out his master’s project in Toulouse with CNET. Bjoern is Head of Operations at Aqua Comms. Bjoern has developed his career in several senior executive positions for various multinational MNOs and ICT players. Previously, he was responsible for the development and expansion of international operations, pre-sales and service capabilities delivering high speed, high performance and resilient services, supporting multiple products and customer solutions globally. Bjoern has been a major force in the sector by taking the lead in new, industry-wide international wholesale carrier benchmarking. He has broad national and international experience in the telecommunications industry. In his career with Vodafone, Deutsche Telekom and T-Systems, Bjoern served in various executive positions in technology, sales and service areas. He is a graduate of the University of Bremen and holds a Master’s degree in Electrical Engineering. Bjoern is based in Oxford, UK. Gavin Moran is Sales Engineer at Aqua Comms. He has nearly a decade of experience in the engineering sector and is responsible for sales support, sales customer engineering and service delivery. Gavin began his career as a business consultant who specialized in management consulting practices and business analysis. He is also an accomplished project manager, who is proficient in the methodologies of both the Project Management Institute (PMI) and PRINCE2. Gavin is an experienced risk and change manager, who is deeply familiar with the analysis of business feasibility. Adrian joined the Aqua Comms team in September 2018 as the head of Network Operations. Adrian’s telecommunications career kicked off in 1987 where he served twelve years in the Royal Air Force installing and maintaining communications equipment. Following the RAF he worked with Marconi Communications where he installed and maintained City SDH networks and associated management systems for high profile customers. In 2000 Adrian relocated to Ireland with Alcatel to assist Global Crossing with the installation of DWDM equipment along with the implementation and running of two Submarine Cable Stations, several amplifier and PoP sites. From 2002- 2018 Adrian worked at Global Crossing/ Level3/Century Link, where he spent sixteen years and was responsible for adding to the network, PoP, Metro and Customer sites. Alistair is Senior Systems Engineer at Aqua Comms and has been in the industry since 2013. Alistair graduated from Trinity College Dublin with a degree in Mechanical Engineering. He then completed a Masters in Energy Systems and Infrastructure at University College Dublin. Alistair worked with Openhydro, a tidal energy company, as a project development engineer with responsibility for managing seabed and tidal surveys as well as associated state liaison. After a short spell with a construction firm in Melbourne, he moved to MDM Engineering and worked on contract to Aqua Comms for the AEC1 project. He joined Aqua Comms in July 2016 and now manages the companies new build and existing infrastructure. Denis is Provisioning Engineer at Aqua Comms. He began his career as a Telecommunications Technician in 1988 in the Royal Air Force, where he spent eleven years. Prior to joining Aqua Comms in 2016, Denis worked at Global Crossing in Bude Cable station where he worked on AC1 and AC2 cable systems in Cornwall. He also worked for Cable and Wireless in London and Subsea Networks. Denis has a decade and a half years’ experience working in cable stations. 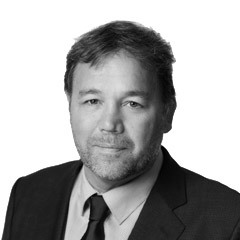 Michael is Vice President Americas Partner and Federal at Aqua Comms, having initially joined as a Senior Advisor. Based in the U.S., he has more than 35 years of international telecommunications experience and is one of the industry’s leading experts in international product and service contract negotiations. Before joining Aqua Comms, Michael was employed by Reliance Globalcom where he served as President Americas and was responsible for all Reliance business in North and South America. Prior to Reliance, he was Senior Vice President of International Relations and Carrier Services at MCI. During his time at MCI, Michael was responsible for directing the company’s global activities, worldwide correspondent services and business development, including MCI’s relationship with over 225 international telecommunication companies. He began his telecommunications career at ITT in 1981. Michael graduated from Rutgers University in 1978 with a B.A. in Economics. Ruud is a Senior Advisor at Aqua Comms. Ruud brings more than 25 years of sales and sales support experience in the ICT sector. He began his career at Philips Communications. From Philips, Ruud moved to FLAG Telecom (formerly Reliance Globalcom, Global Cloud Xchange (GCX)). His last role at GCX was Vice President Europe, Carrier Services, where he headed the European Wholesale Sales division. While Belgium is his home base, Ruud has worked internationally throughout his career. In 2016, he joined the Aqua Comms management team where he is now primarily focusing on the Global Sales and Marketing teams. Ruud holds a Bachelor’s degree from the Thomas More University College. 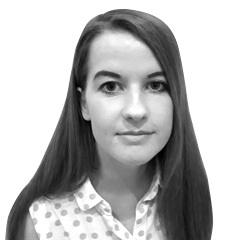 Eimear joined as the Marketing Executive in October 2017. She began her telecommunications journey in her role as Communications & Events Manager at Simulity (now ARM) where she spent two years based in Belfast, UK. Prior to this, Eimear worked at Fleishman Hillard and with Celebrity Irish chef, Clodagh McKenna where she got a real taste for event co-ordination. She has worked on major projects such as Mobile World Congress, St Patrick’s Day Festival and Taste of Dublin. Eimear has a law degree from Dublin Business School, a Postgraduate diploma in Marketing and a Digital Marketing degree recognised by the Chartered Institute of Marketing. Maggie is Vice President of Sales, Carrier and Wholesale, responsible for driving revenue growth through this vertical. 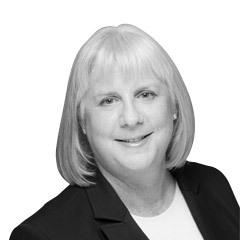 Maggie joined Aqua Comms in 2015 and has more than three decades of telecommunications experience, including fifteen years in the submarine cable arena. She has worked for companies including ITT WorldCom, Telstra UK, MFS, Level 3 Communications, and Apollo Submarine Cable System Ltd. 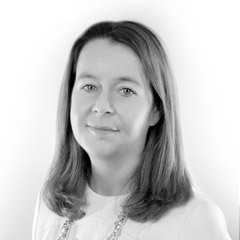 Prior to her role at Aqua Comms, Maggie spent eight years as a Sales Director at Hibernia Atlantic. She has a B.A. in International Relations and Affairs from the University of Colorado at Boulder, and is based in Bromley, UK. Fiona is Financial Controller at Aqua Comms, joining the team in April 2017 and bringing thirteen years of accounting experience within the mobile technology and fintech space. Fiona was one of the founding employees of Afilias Technologies (formerly dotMobi) and helped bring the company from start-up stage to a massively successful company. It was here that she developed from her role as finance assistant to finance manager whilst simultaneously studying to become a chartered accountant with the ACCA. Sandra is General Counsel at Aqua Comms and brings experience working with both indigenous and multinational companies on global technology, engineering and telecommunications projects. Sandra has held previous international roles as Group Legal Director at global engineering solutions company, Actavo Group, and at BAE Systems as Head of Legal – Applied Intelligence NetReveal. Sandra is a qualified solicitor and has an LL.B from Trinity College Dublin, and an LL.M (Computers and Law) from Queens University Belfast. Edel joined AquaComms in May 2018 as a Finance Assistant. She has a bachelor’s degree in Contemporary Culture and Society from DCU. Following her undergrad, Edel went on to become a trainee accountant for a small accountancy firm called Donal Ryan and Associates which is based in Dublin. Edel has also previously worked for Teeling Whiskey Company in the accounts department. Before joining Aqua Comms, she worked in the leasing department of DLL Ireland DAC where her focus was based around financing agricultural machinery.